Will Jair Bolsonaro's government take corruption seriously? Sergio Moro, Brazil's new justice minister. 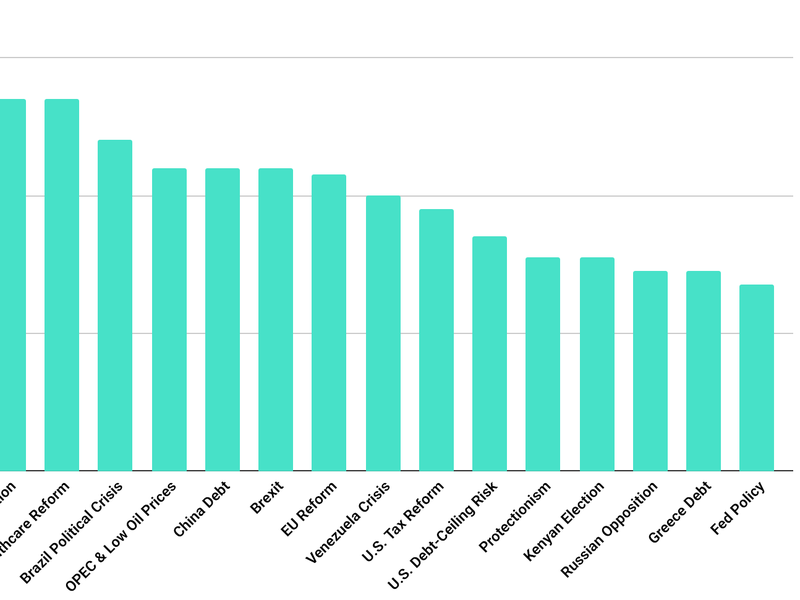 Like every candidate for higher office in Brazil, president-elect Jair Bolsonaro ran on a pledge to crack down on corruption, which voters tell pollsters is the country’s biggest problem. The question was whether Bolsonaro actually intended to follow through. It is still early, but so far there are signs that the new government will take measures to not just punish high-profile offenders, but also to perhaps enact systemic reforms. Since the presidential election in October, Operation Car Wash, the sprawling four-year-old corruption probe that has toppled some of Brazil’s most powerful politicians and tycoons, has come roaring back. Last week, prosecutors indicted former presidents Dilma Rousseff and Fernando Collor, meaning three of Brazil’s past five presidents have been charged. Shortly thereafter, federal police arrested the governor of the state of Rio de Janeiro. 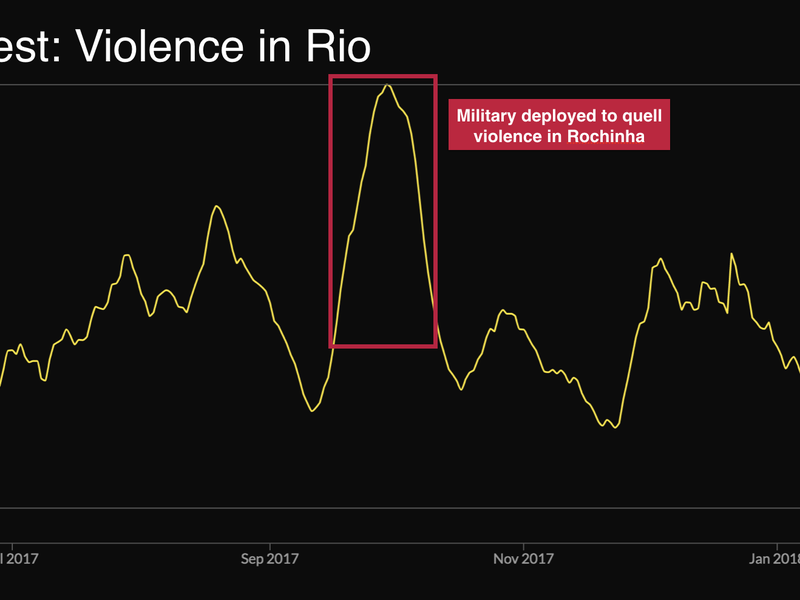 A Predata signal suggests expectations are high among Brazilian citizens that the investigators will target other government officials in the coming days and weeks. 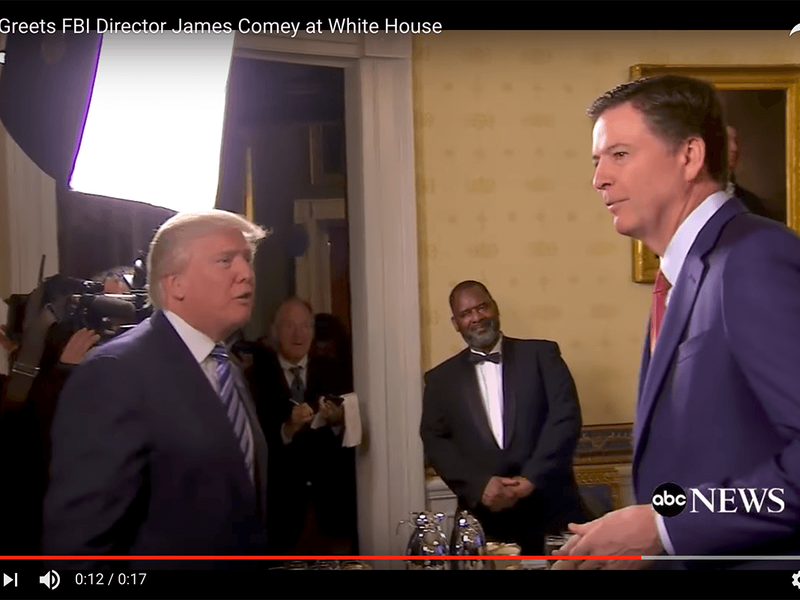 The signal captures Brazilian interest in politicians who have already been ensnared in the Car Wash probe or who are likely targets. 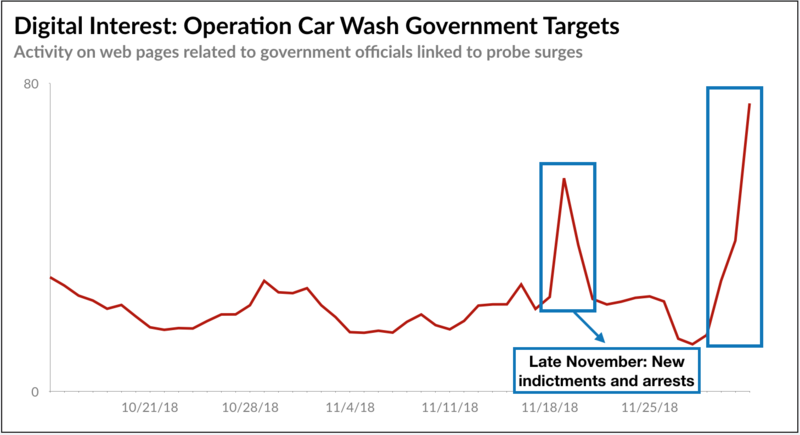 The signal spiked right before the late-November indictments and arrests, and it has now hit its highest level of the year. 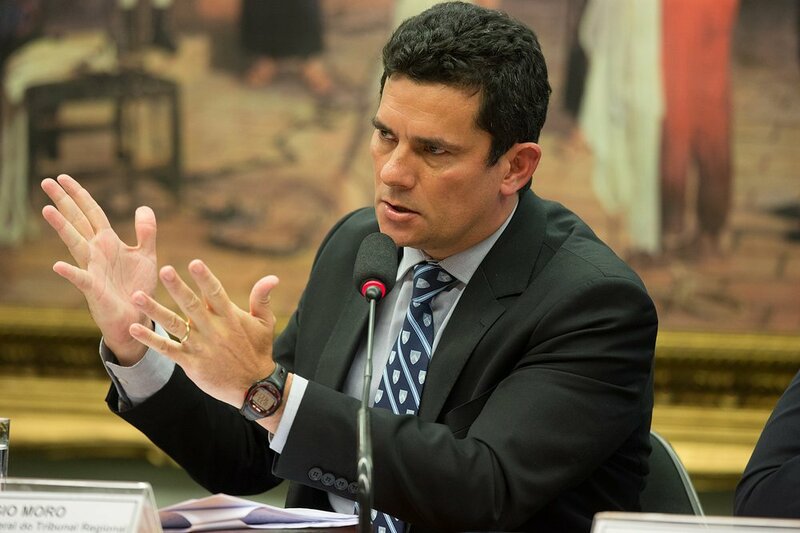 Also emboldening Car Wash investigators is that Sergio Moro, the crusading lower-court judge who has overseen the probe, is set to become the new justice minister. 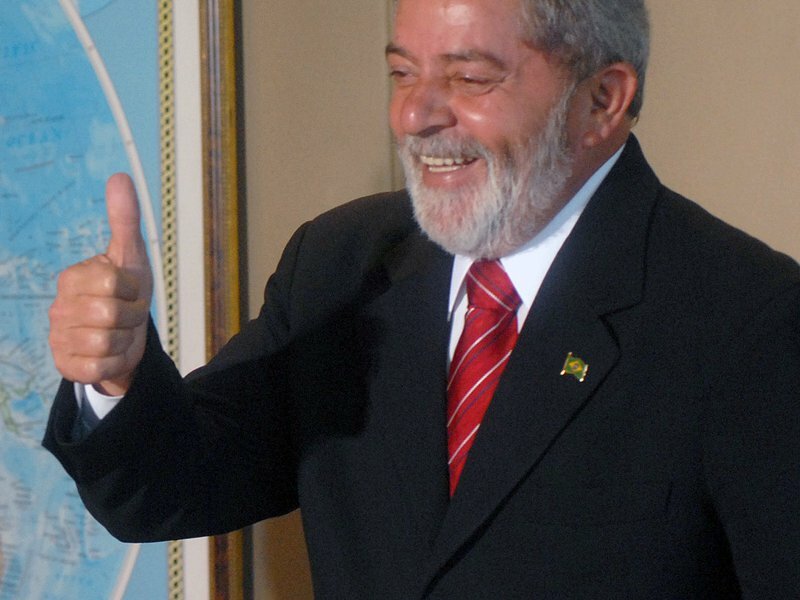 Despite some problematic optics -- it was Moro who imprisoned Bolsonaro’s main political rival Luiz Inácio Lula da Silva on corruption charges -- the appointment bodes well for Car Wash, as the judge will provide strong top-level cover for the task force carrying out the case. But the question that matters more for the future of Brazil’s economic and political governance is whether the new government will pass badly needed anti-corruption reforms. Despite headline-grabbing arrests, corruption remains endemic, a systemic feature of the country’s fractious politics. 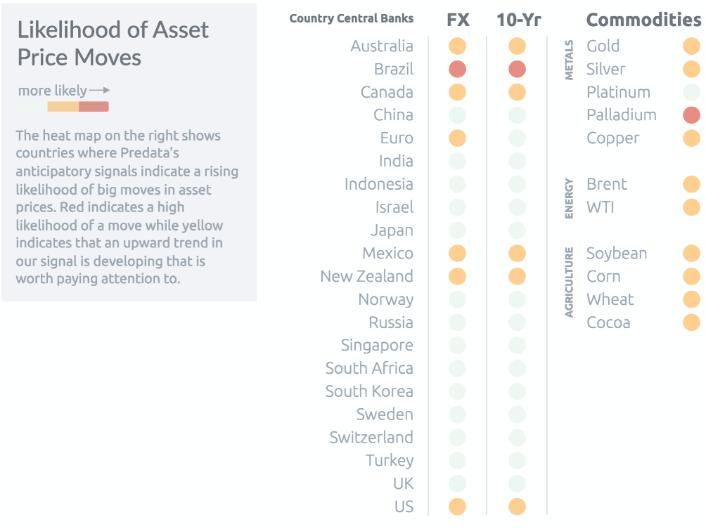 However, a Predata signal suggests that public expectations are high that the new government might take steps toward reform. 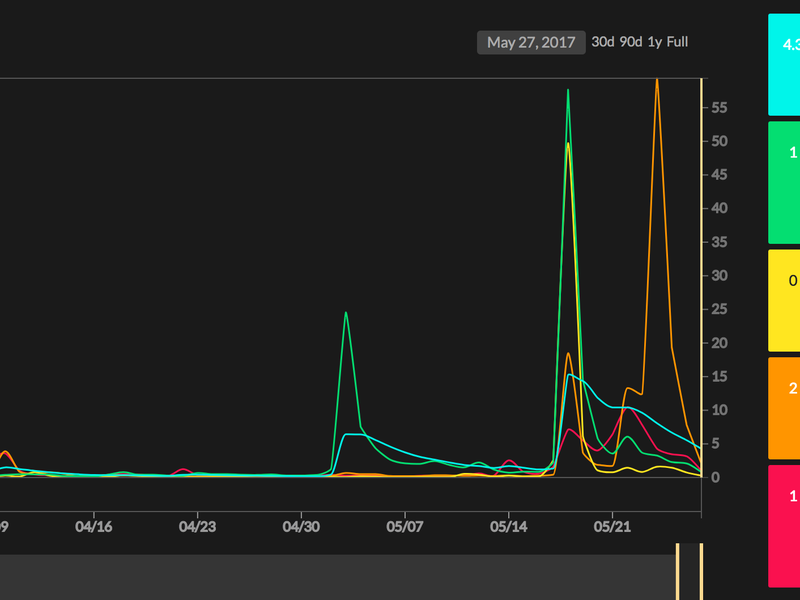 After being dormant for months, activity on Portuguese-language web pages related to anti-corruption legislation proposed by Brazilian public prosecutors surged immediately following the presidential election and on the news that Moro would become justice minister. Passing anti-corruption legislation is difficult, as doing so would imperil many lawmakers. 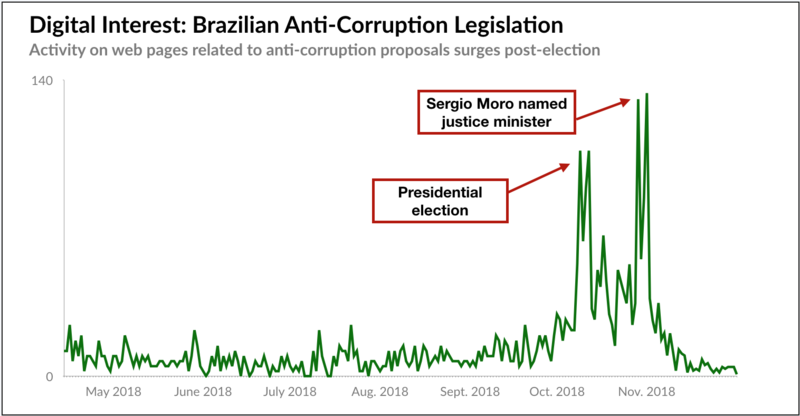 But this signal activity may indicate that the online public in Brazil expects the new government to enact a substantive anti-corruption agenda. 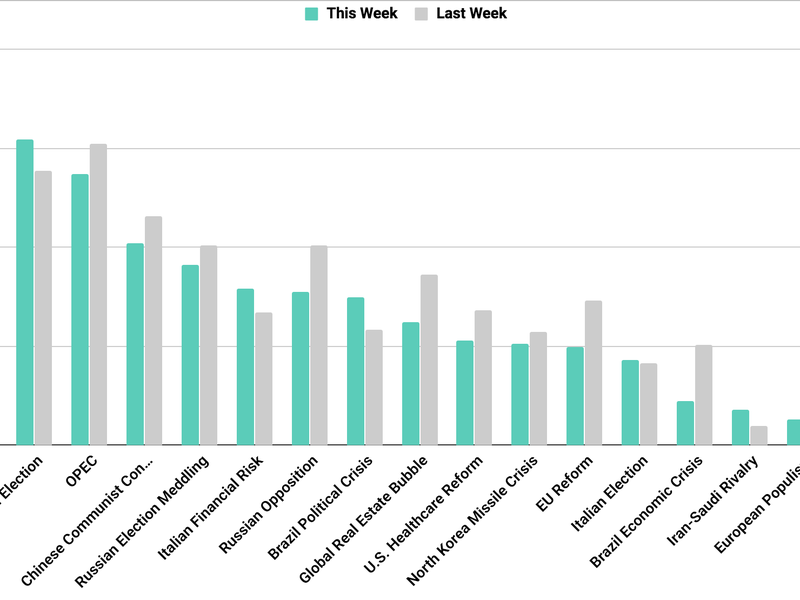 Is Temer's Military Intervention a Political Game?